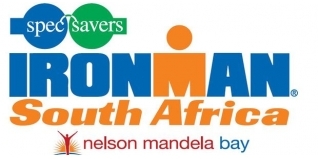 Port Elizabeth in the Eastern Cape Province will once again host the SpecSavers Ironman South Africa this coming weekend. The race is a familiar one to Tri247, with our Editorial team having attended several races there over the past five years - including the Ironman™ world record setting performance of Chrissie Wellington in 2011 and the first Ironman podium for Rachel Joyce in 2009. Along with Chrissie's win (Rachel Joyce was second that year too), there were double British victories there in 2008 as Stephen and Bella Bayliss (she was Bella Comerford at the time), won on the same day, a feat they repeated later that year at Ironman UK. What chance of British representation on the podium this year? The event has a P-2000 status on the Kona Pro Rankings, and that combined with a pretty healthy $75,000 prize purse ($15,000 for the win, paid eight deep), makes this a pretty attractive event from a Pro perspective. Chrissie proved it can be a fast course - but a venue also known for its wind proved last year that speed isn't a given - race winner Clemente Alonso-McKernan (ESP) was slower than Chrissie's 2011 time. Great Britain has two representatives in the ladies Pro race, Jodie Swallow and Joanna Carritt. Despite having been an ITU Long Distance World Champion and Ironman 70.3 World Champion - and winning the Ironman 70.3 South Africa title for the past three seasons, Swallow is yet produce the Ironman performance that her undoubted talents appear ready and capable of challenging the very best in the world with. Those world championships were won in gun-to-tape style with fastest across the board splits - the potential of a fit and healthy Swallow over the full Ironman distance is huge. Fingers crossed she will be able to show that ability this weekend. With Port Elizabeth being the home town of partner James Cunnama, you know she will be hugely motivated. Having been a late withdrawal last year will only add to that. For Joanna, we understand this will be her last year of 'cracking the Kona Pro spot nut', and with 1740 points on the board currently from third at Ironman Wales and eighth at Ironman Western Australia, a good finish here could put her well in contention to achieve that goal. Lucie Reed (CZE) won this race in 2009 under her maiden name of Zelenkova, and the fast swimmer will perhaps be aiming to stick with the possibly even faster swimming Swallow in the early stages. Reed took third place behind Swallow at the 70.3 South Africa in January. The USA's Jessie Donavan was an Ironman winner last year at Lake Placid and Mont-Tremblant, as well as second at Ironman St. George. Looking at those results though suggests she will have a lot of work to do once on dry land - as she is likely to give up the best part of 15 minutes in the water to Swallow and Reed. Switzerland's Simone Brändli has course knowledge - she was second last year to fellow Swiss, Natascha Badmann and she also has a win at Ironman Cozumel (2011). That makes her one of the pre-race favourites certainly. USA's Dede Griesbauer has two Ironman wins to her name - and has fought back from a massive crash at Frankfurt two years ago which included a broke pelvis and hip, so she won't be worried if conditions are a little tough with bigger battles already have been successfully conquered. All said though, the class athlete of the field in our eyes is Jodie Swallow, and we'll go for her to take her first Ironman win with Simone Brändli and Lucie Reed to complete the 1/2/3. Craig Twigg is the sole GB Pro representative - though British born / Seychelles representative Nick Baldwin is a familiar and popular name on these shores. We interviewed Craig prior to the recent Ironman Melbourne, where it is fair to say - and he would be the first to admit - he had a shocker. We can't help feeling though that arriving in Australia on Friday morning for a Sunday race can't have aided his performance with the resultant travel time and jet lag. All change here though, as Craig has been in Port Elizabeth for a while now, and having finished seventh last year and raced on the course several times, he will be confident of a much better result this time around. Hopefully a relative lack of performance in Melbourne will have aided his recovery for Port Elizabeth. He will certainly be motivated for a result in Nelson Mandela Bay for the efforts he has put in over the winter. For Nick, this is his Pro debut - his last race as an Age Grouper being a win at the Abu Dhabi International Triathlon last month, so this will be an interesting first measure of where he stands on the international scene. The headline names in the men's race are the Swiss trio of Ronnie Schildknecht, Mike Aigroz and Jan Van Berkel, Germany's Faris Al Sultan and home favourite James Cunnama. Schildknecht is the master in Zurich, winning the last six editions of Ironman Switzerland and also has a sub-eight Ironman to his credit with another win at Ironman Florida (2011). Second at 70.3 South Africa and fourth a couple of weeks back at Oceanside, Ronnie will be tough to beat. Faris Al Sultan had his best Kona for many years last October, finishing fifth, and with Ironman wins in Regensburg (2010), Frankfurt (2011) and Austria (2012) he'll want to keep that streak continuing in 2013. All - and I mean all - of the pressure for the win though will rest firmly on the shoulders of the local hero James Cunnama. The Roth 2012 winner started his triathlon 'career' as a volunteer at this race... and so the desire to win it is huge. Having seen at first hand the pressure that the locals can place on their heroes, notably Raynard Tissink in 2009, does James have the fitness and form to live up to their high hopes and expectations? 10th in 2008, sixth in 2009 and third in 2011, is Cunnama ready for the top step of the podium? Your guess is probably as good as mine, as there isn't much in the way of 2013 form to go on! An 'outside' name to watch is Bas Diederen (NED). Diederen won Challenge Barcelona and took second at Ironman Cozumel last year - so while the name may not be familiar, that is a strong form line. France's Cyril Viennot (second last year) joins third placed Mike Aigroz on the start list in what appears to be an open and deep men's race. Predictions here are tough. We'll go for the consistency of Ronnie Schildknecht to take his eighth Ironman title, with Cunnama to use his local knowledge to overcome a lack of recent racing to take second with Bas Diederen to complete the top three ahead of the bigger 'names'.